I received some questions about this colorful rug. The Kiara rug is from Anthropologie and it is available in various sizes. I especially love the color combination. 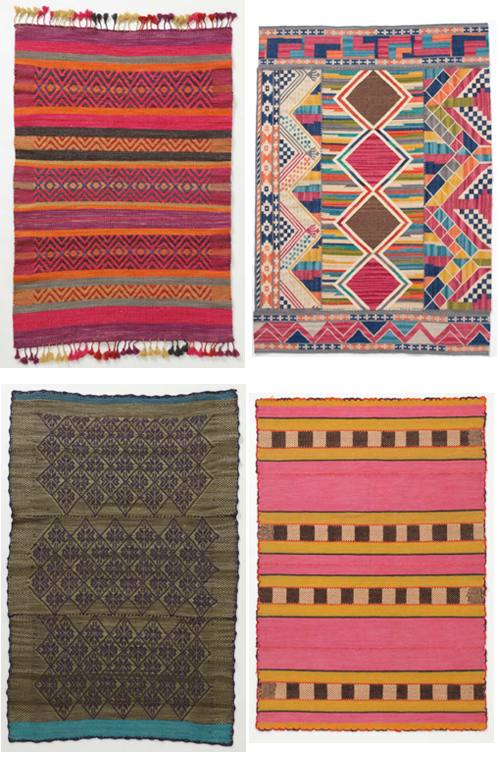 Anthropologie has some more beautiful rugs in there collection: the Peruvian inspired Huari rug with lovely tassels, the Minar rug with mosaic shapes, the green and turquoise Stavanger rug and the Aymara rug in stunning desert hues with pink and chartreuse pops. They are absolutely beautiful! Want them all! Great rugs, love the colors. The rugs are all so beautiful. But I’m also diggin’ that tiered dresser- where is that from? These are marvellous, agreed love the colours! these rugs are so beautiful. Fantastic colors and combinations! Love the Kiara rug. I’ll add it to my wish list! Just purchased the Huari rug! Love it!